Recently named the #1 piece of 20th century literature, The Lord of the Rings trilogy is more than a great story. It's a much-needed reminder that, like J.R.R. Tolkien's hobbits, Christians are all on an epic quest. In examining the Christian themes in the trilogy, authors Kurt Bruner and Jim Ware find that truth and fiction are not as far apart as they seem. I don't feel this program is the travesty many believe it to be. This could of course be because this was my first exposure to Middle-Earth and I was only ten or so at the time. Even now at 31 I still have a soft spot for this program, even after hearing the BBC's version. Of course this soft spot could also be due to the fact that despite its flaws this program still remains most faithful to the books and features a reasonably well-performed version of one of my favorite parts, that being the scenes with Tom Bombadil, which the 1981 BBC radiodrama, released three years or so after this version, omits entirely as does the 2001 film, much to the displeasure of many fans. But if you enjoyed the American performance of The Hobbit, you may enjoy the rest of the series just as much since old favorite actors such as Ray Reinhardt (Bilbo), Tom Loose (Thorin and now Aragorn), and Bernard Mayes (Gandalf), return in this program alon with newcomer James Arrington as Frodo and, strangely enough, Saruman as well. I wasn't entirely thrilled with the guy who portrayed Elrond, since he always sounded to me as though he constantly had a frog in his throat. I will however acknowledge the fact that he sounds somewhat less like that in the LOTR trilogy than he did in The Hobbit itself. The only cast member I really didn't like was Lu Bliss, the lady who plays Sam. I don't know if it was the New York/Jersey accent or what, but I could never get into her performance. One other thing I found rather unnerving about this version to say the least, was the almost overwhelming presence of Sci-Fi-like laser effects whenever Gandalf used his magic. Granted this is more in reference to Two Towers and Return of the King than in Fellowship, but it does become distracting in those later programs. Aside from that though, the sound effects are actually quite good, the horses' hooves not least of all. In the BBC version they sounded much more like tapdancers in my opinion than actual horses. I used to listen to these on tape when I was a kid, and when I saw them here, I had to download 'em. They're almost as great as I remember. Some of the voice acting is a little off (I'm looking at you, Elrond -- whose idea was that? ), but the main characters are great, and the selection of material is excellent. One and three-quarters thumbs up. Being a huge fan of LOTR I was very excited to see a dramatized version of it. The voice acting is great with the exception that they sound annoying and child-like. I almost cannot bear to listen to the entire thing due to this factor. The pitch of the characters ruined it. I, too, purchased the series unheard and unreviewed. I am grievously disappointed. I have rarely heard such ill-conceived overacting as is contained in these tapes. The producers have no understanding of these books. The tapes do not even succeed as parody as they are devoid of wit. What a waste of time and money. 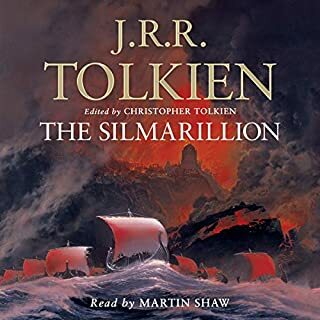 Not the Book Reading - be forewarned..
Where does The Fellowship of the Ring (Dramatized) rank among all the audiobooks you’ve listened to so far? Was on a long road trip with my son; it was a nice diversion - but it was NOT the book as written. It is a radio show version of the book and there is some diversion from the original. If what you are looking it the actual reading of same (which we were) this is not the right download. 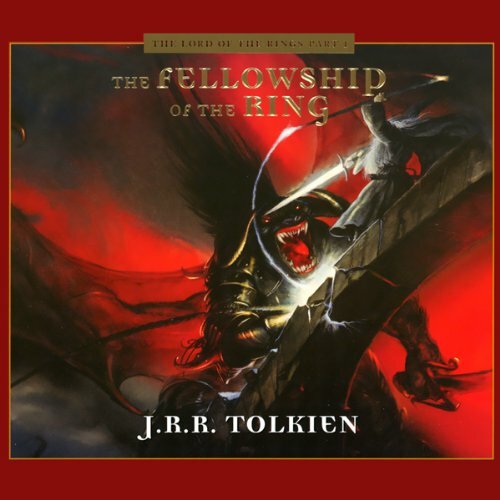 What other book might you compare The Fellowship of the Ring (Dramatized) to and why? The Fellowship of the Ring, as written - because the interpretation of the story for the drama leaves some important content out. What three words best describe An Ensemble Cast’s performance? This is not a bad dramatisation of a classic. 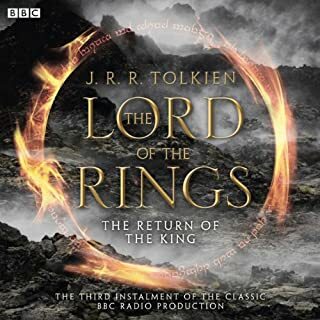 i had to have it because i am a huge tolkien fan (i already own the audiobook on cds). 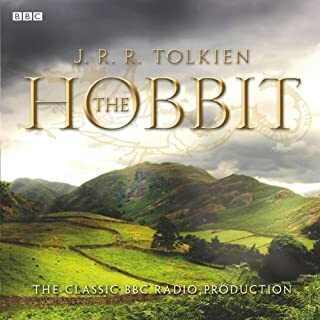 but if you are bothered by the american pronunciations, i would highly recommend the bbc dramatisation of the LOTR with ian holm voicing frodo. 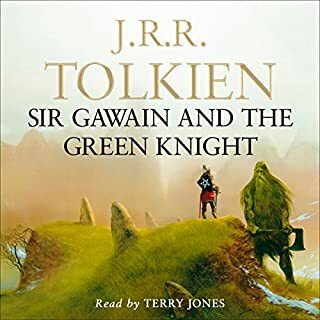 the bbc version is also available from audible. i give the bbc versions 5 stars. This is a really good way to introduce the younger set to the Lord of the Rings Trilogy, who may find it difficult to read the books or to young to watch the movies. I didn't realize this was geared for kids when I dowloaded it. As an adult, I was unable to finish listening to this narration because I found the voices annoying. 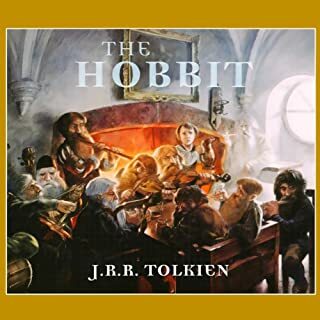 If you listen to this with your children, be aware that many of the characters have high pitched voices, sounding like the Smurfs or munchkins (which of course, children love!). The narration of the start of Frodo and Co.'s journey seemed to go and on and they hadn't left the realms of Hobbit lands yet. I think they should have cut this down a bit so children don't start to get bored with the narration. 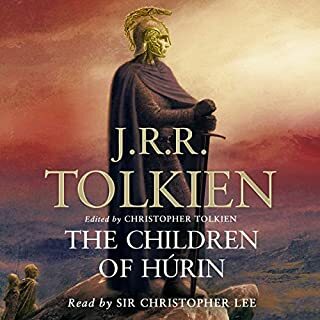 None-the-less, if you have a young one that you want to get into the science fiction realm, this is the perfect thing to listen too. When they get older, show them the movies and let them read the books for the complete Lord of the Rings experience. I really wanted a reading by one person. This is ok but I wish I would have read the information a little better. I made it half an hour before the over dramatization had me turning it off due to anxiety. Though it is my favorite series, this reading was just not for me.